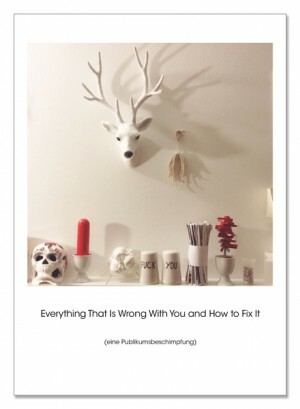 Ric Kasini Kadour’s Everything That Is Wrong With You and How to Fix It takes as a point of departure Austrian playwright Peter Handke’s 1966 anti-play Publikumsbeschimpfung during which actors cast insults at the audience. 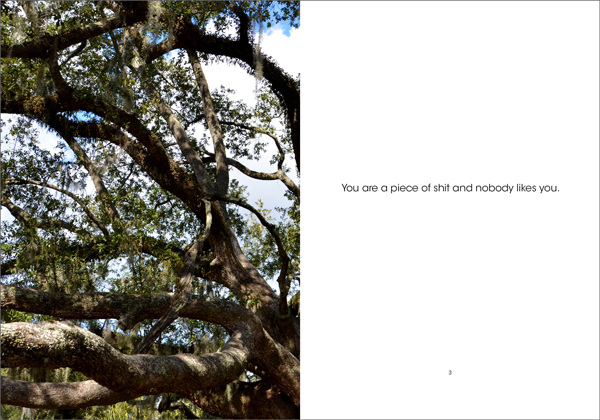 The book is illustrated with Kadour’s photographs of banal objects and New Orleans oak trees. Read as testimony, the book speaks to the buffet of verbal, emotional and environmental insults the come to us every day. 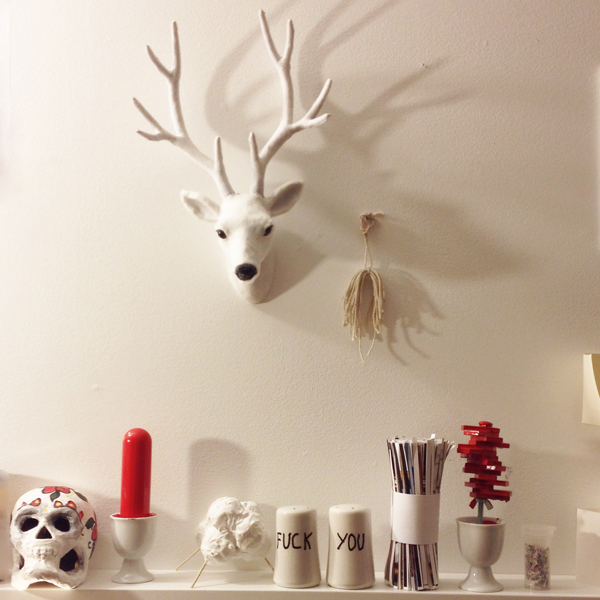 Kadour gives voice to these stings and rages and then turns them on their head. As a sermon, the bravado of the title carries itself through the piece. Kadour speaks to us from on high, exhorting us to examine ourselves in both the darkest and brightest places. As social critique, Kadour, like Handke, uses “words to encircle the audience so they’d want to free themselves by heckling; they might feel naked and get involved.”* But where Handke’s play devolves into rhythmic chatter, a nonsense that negates both the insults and the praise, Kadour ends Everything… with a call to action. *from an interview with Handke that appeared in The Drama Review, Autumn 1970.